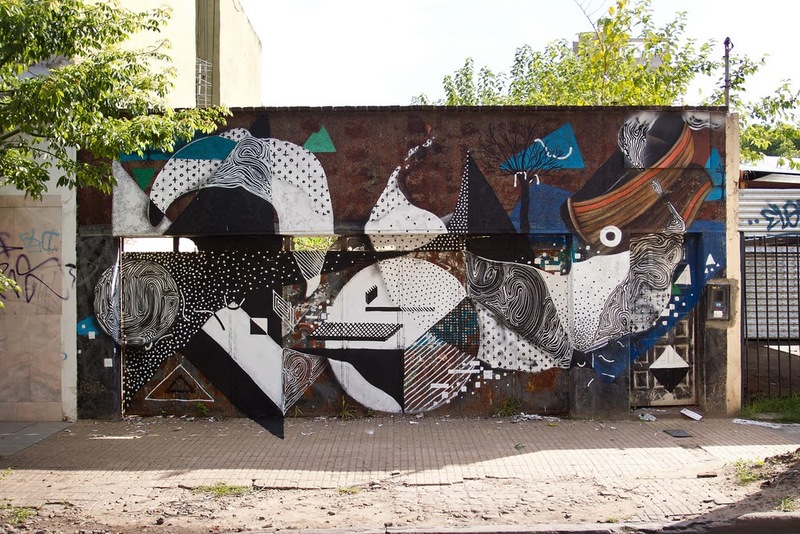 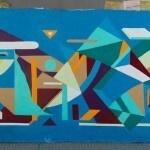 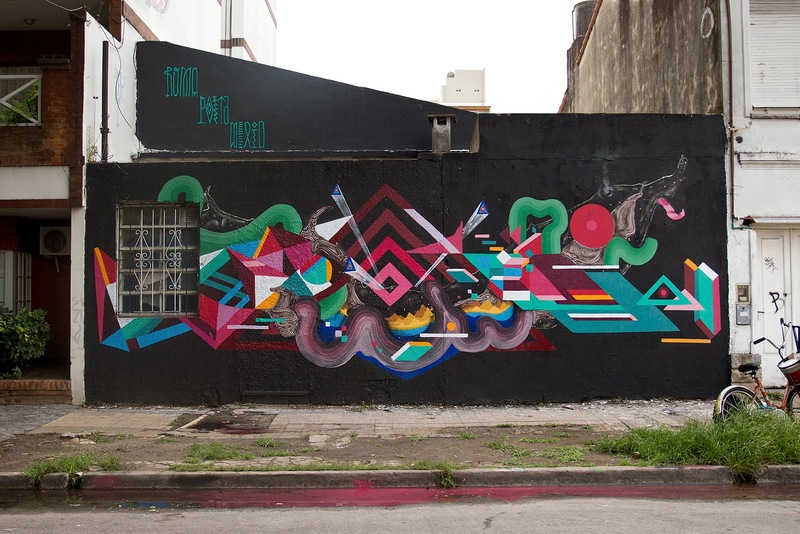 Nelio is still in Argentina where he just wrapped up a series of new collaborations with Gualicho, Rojo Roma and Poeta in Buenos Aires and Villa Carlos Paz. 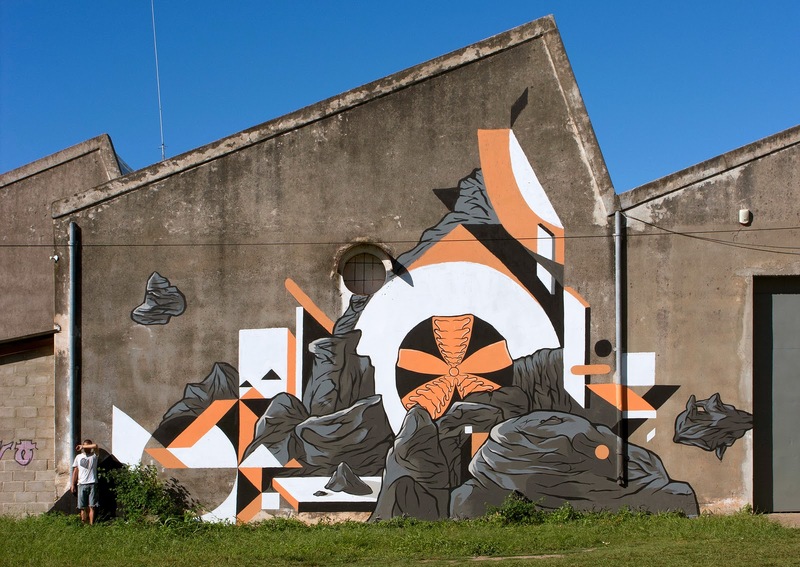 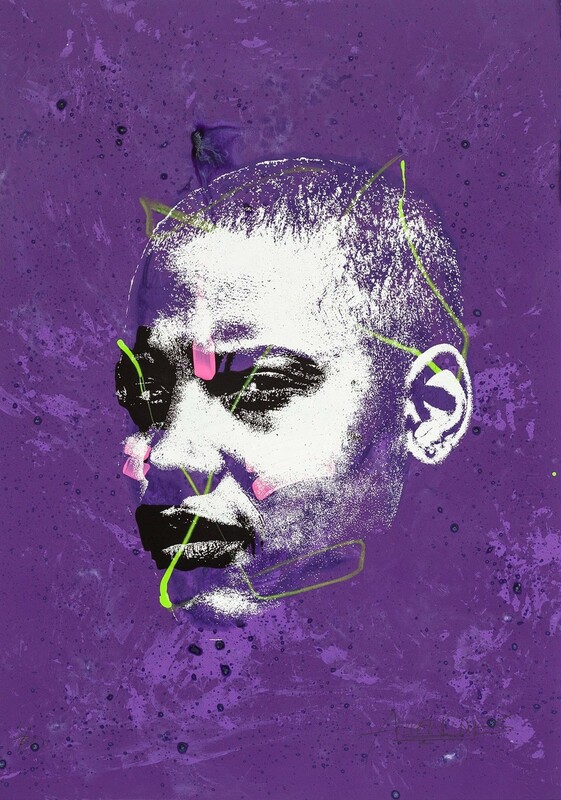 Nelio’s work is Graffiti rooted but incorporates elements of art history, illustration, lettering, architecture and graphic design. 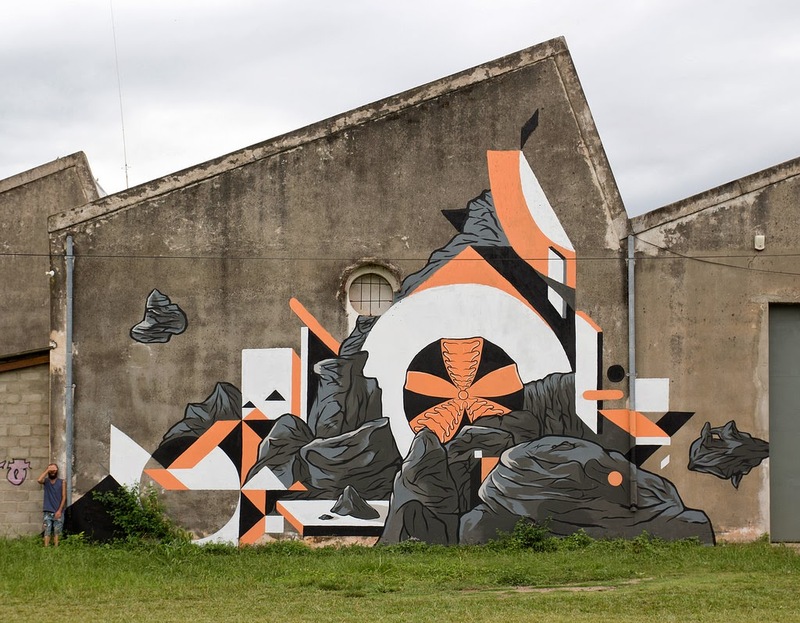 The French street artists and his friends dropped a bunch of signature abstract murals which are featuring each artist’s distinctive style. 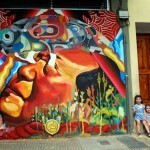 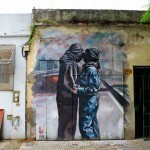 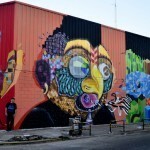 Check out a few more photos below and stick with Street Art News for more updates from South America.